ABC's new drama The Rookie premieres this fall on TUESDAY OCTOBER 16 10|9c. 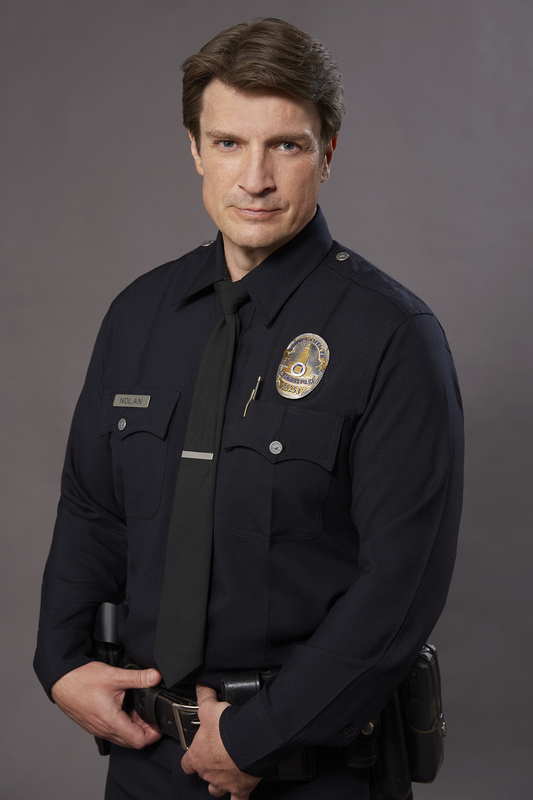 Starting over isn't easy, especially for small-town guy John Nolan (Nathan Fillion) who, after a life-altering incident, is pursuing his dream of being a Los Angeles police officer. As the force's oldest rookie, he's met with skepticism from some higher-ups who see him as just a walking midlife crisis. If he can't keep up with the young cops and the criminals, he'll be risking lives including his own. But if he can use his life experience, determination and sense of humor to give him an edge, he may just become a success in this new chapter of his life. Watch the official trailer below! Alexi Hawley is writer and executive producer; Mark Gordon, Nathan Fillion, Michelle Chapman and Jon Steinberg are executive producers on the series. Liz Friedlander directed and executive produced the first episode. Entertainment One (eOne) is the lead studio on The Rookie, a co-production with ABC Studios.